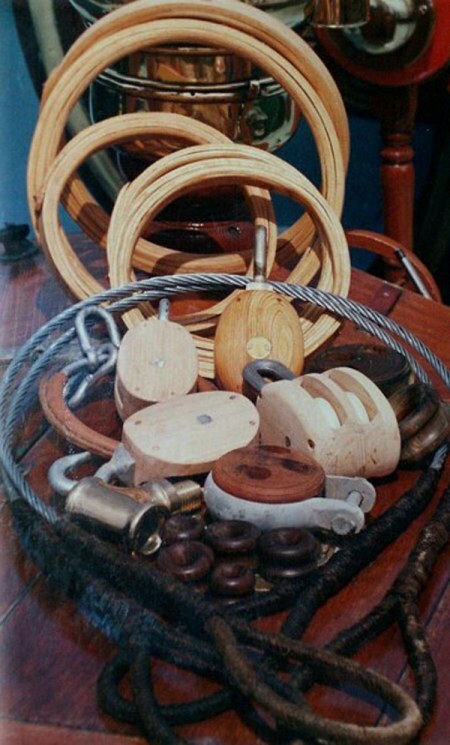 Over the past twenty years T S Rigging have rigged a wide range of craft from the complete deck up restoration of the Cutty Sark down to winkle brigs as well as racing cutters, fishing smacks, traditional sailing barges and classic yachts. Using both traditional and modern techniques we can meet individual requirements, whether for a restoration, replica or a brand new vessel. Everything is made specifically to suit your boat, with an emphasis on quality workmanship to give the reliability and finish you need from your rigging. With experience of managing rigging projects from Scotland to the Mediterranean and as far a Bali, we have amassed a considerable knowledge over the last twenty years, from working sail craft to classic yachts from the drawing boards of famous designers including Albert Strange, Olin Stephens and William Fife. Detailed quotations can be provided for repair, replacement or complete re-rigs. TS Rigging has worked with a number of boat builders and designers to deliver new and unusual rigs for restorations and rebuilds, often from the minimum of information, using our experience of traditional working rigs. …Quality, professional, friendly service – guaranteed.